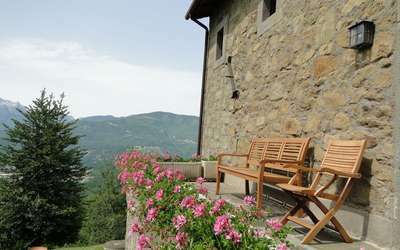 A lovingly renovated traditional Tuscan Villa, built with local stone, boasting terraces & arches. 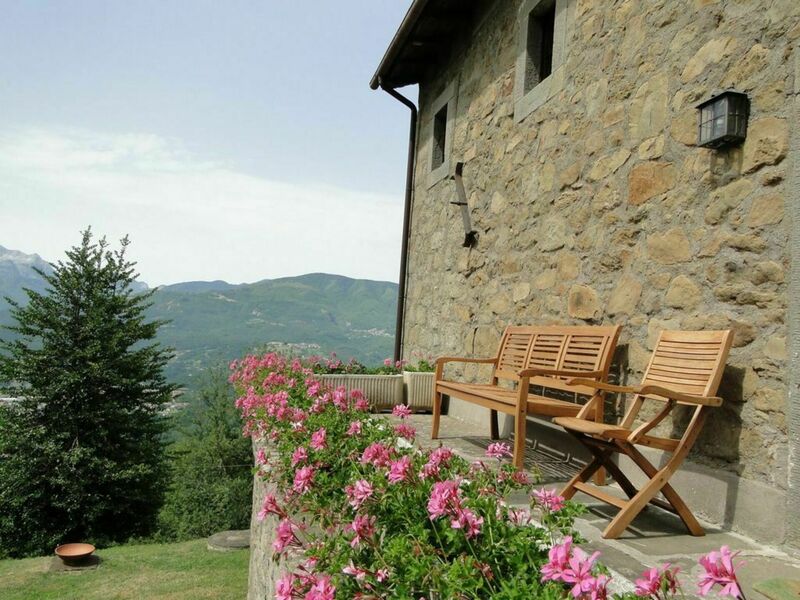 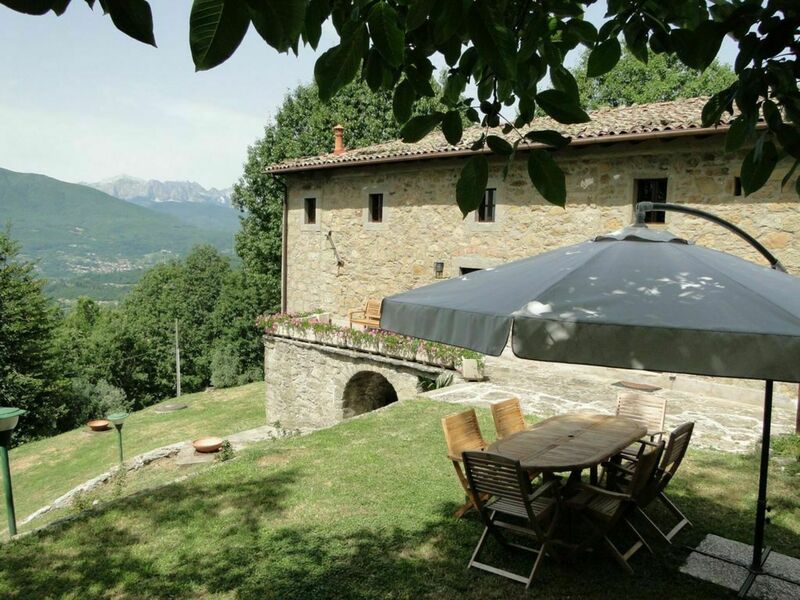 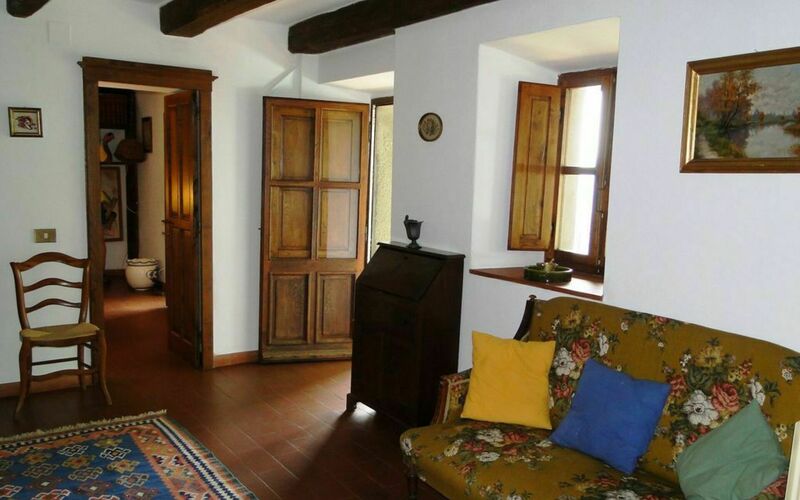 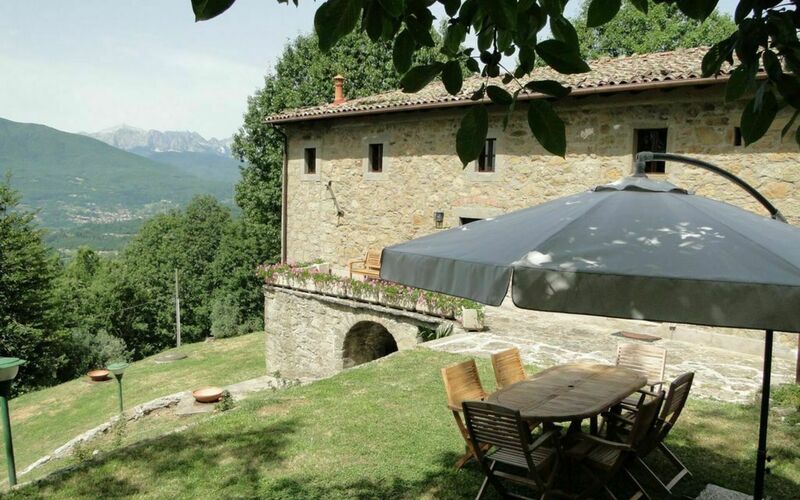 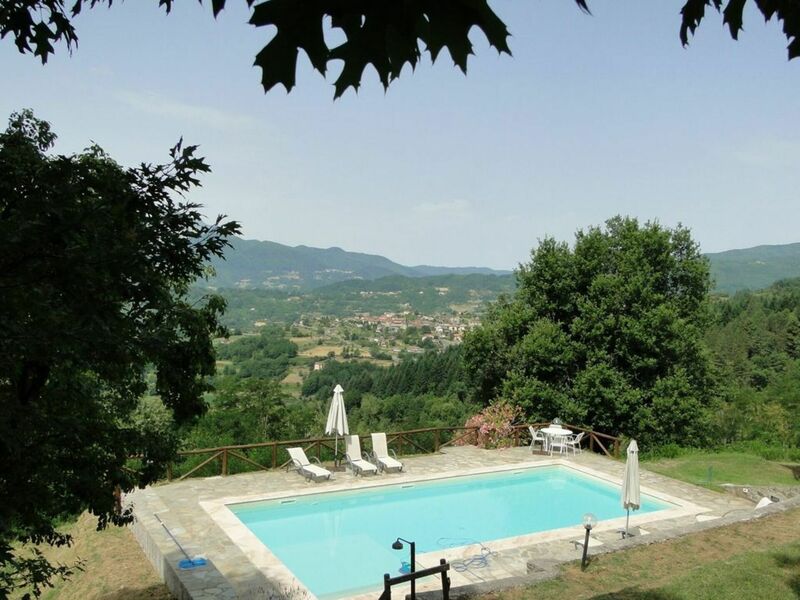 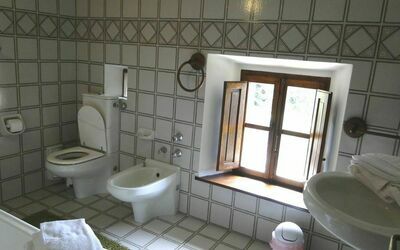 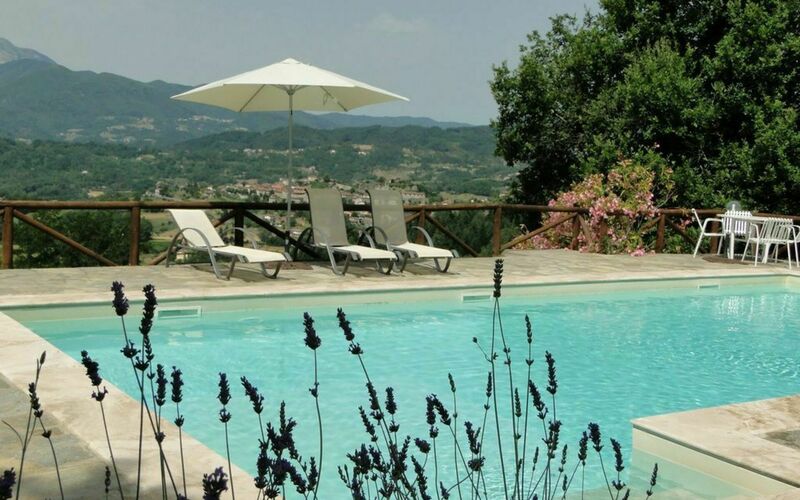 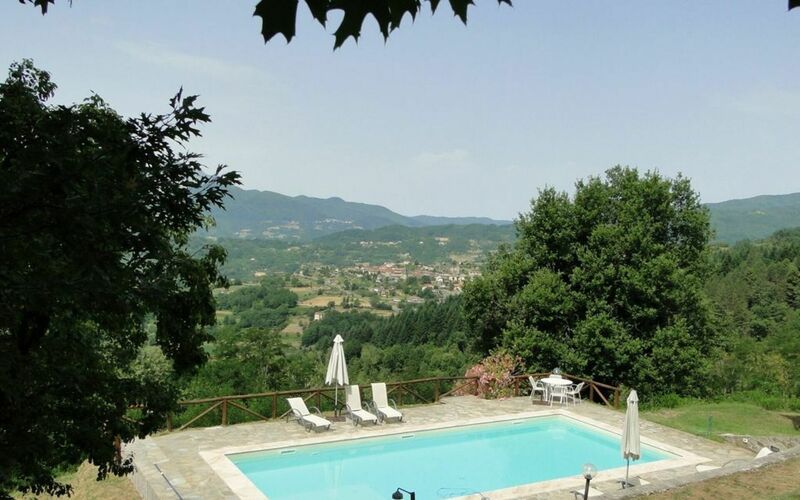 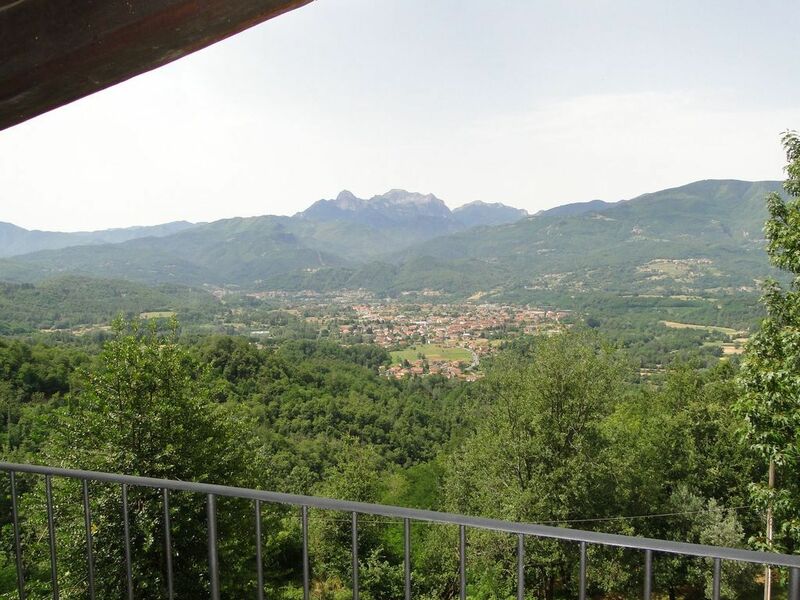 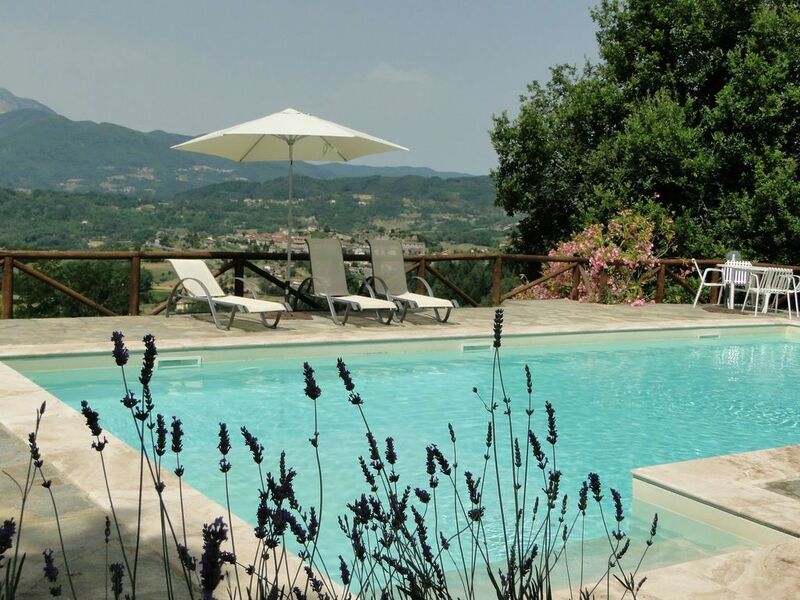 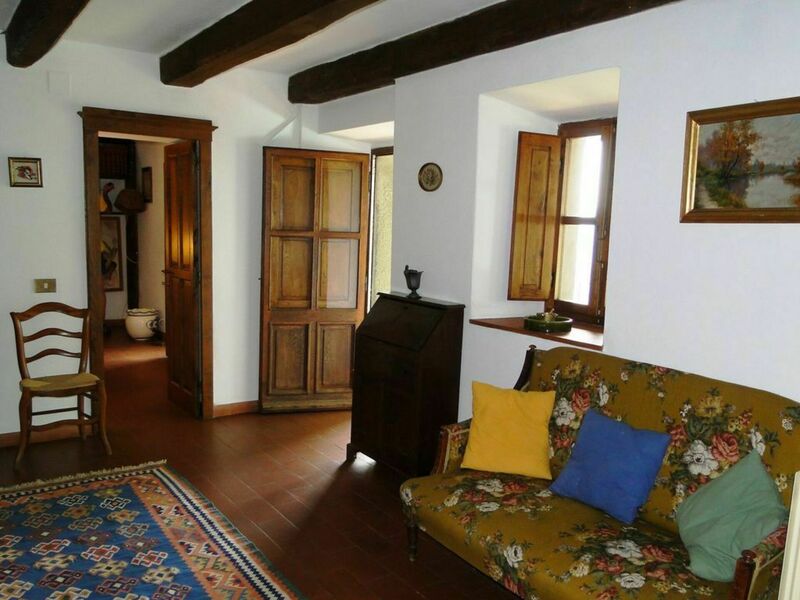 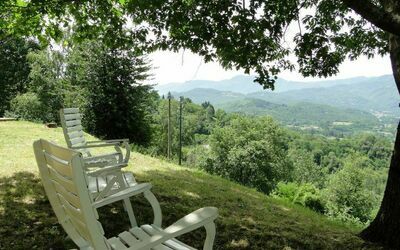 The villa is peacefully situated & benefits from stunning views over the walled mediaeval village of Castiglione. 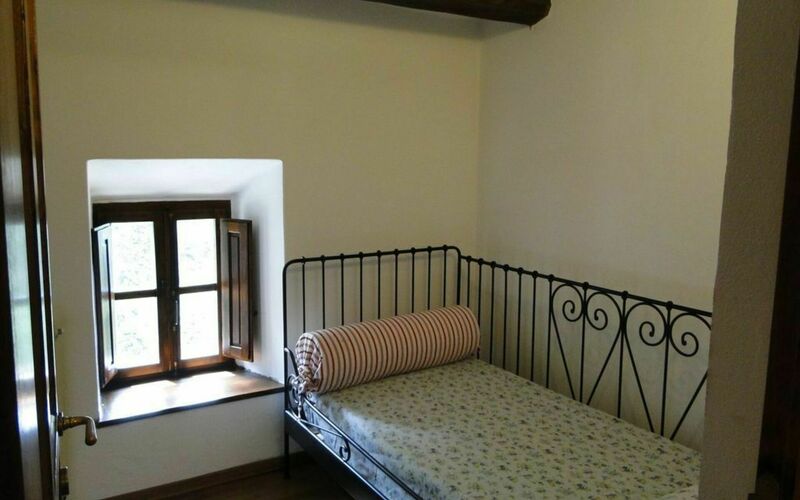 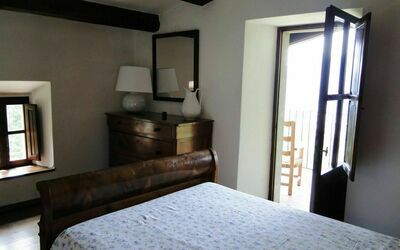 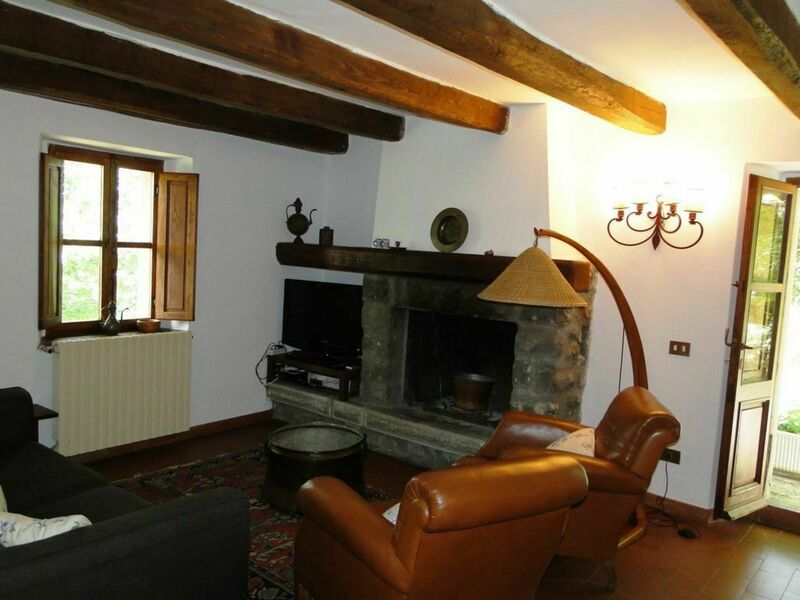 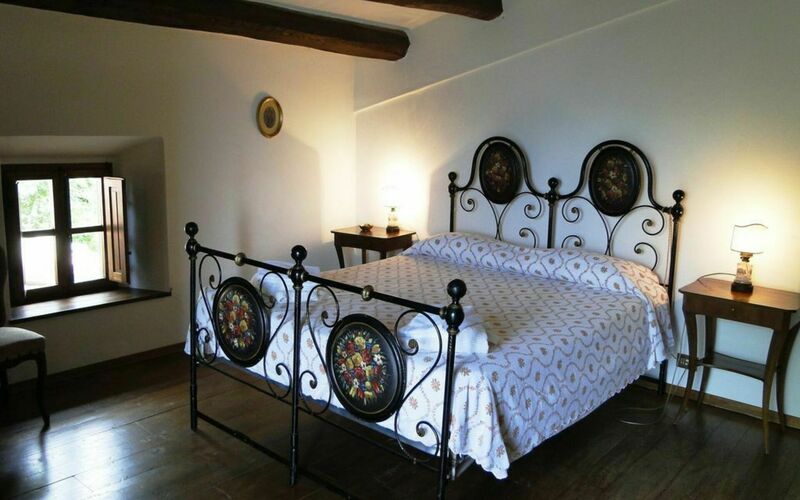 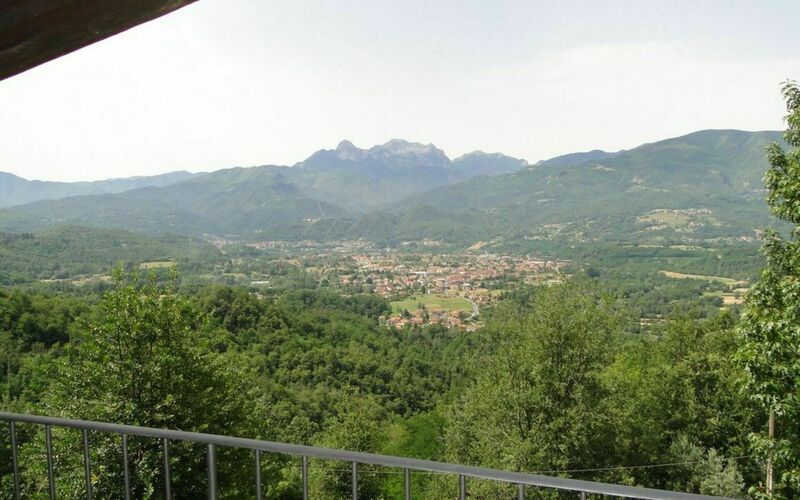 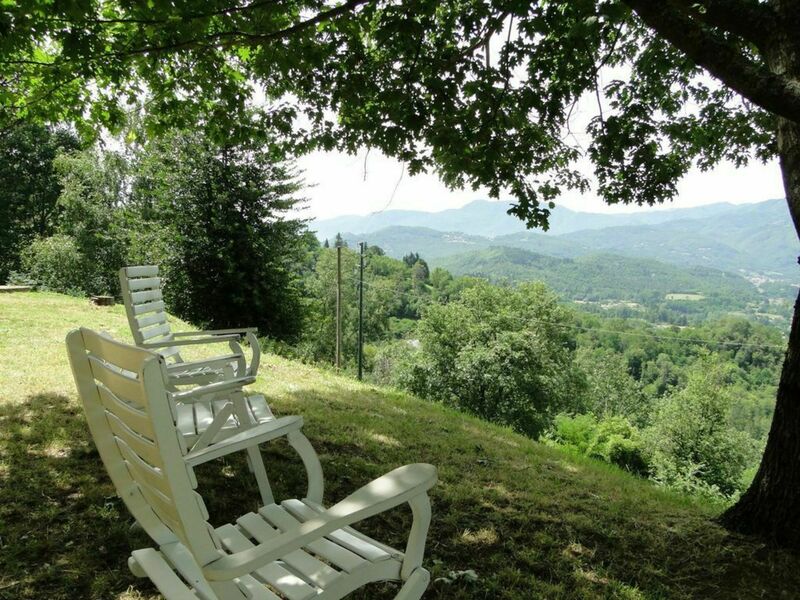 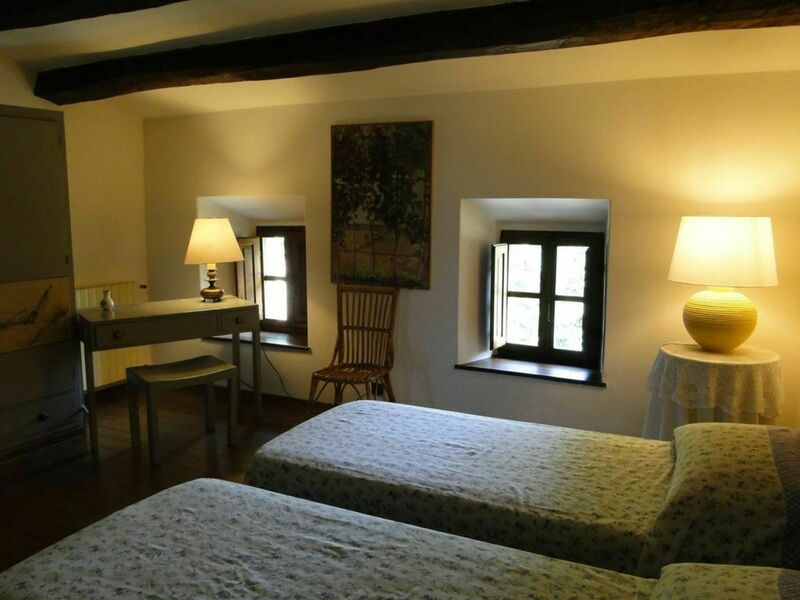 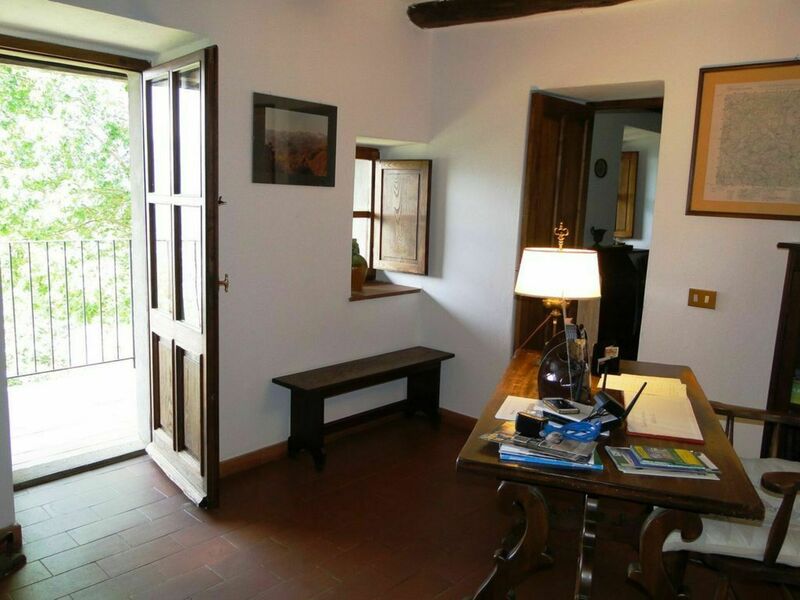 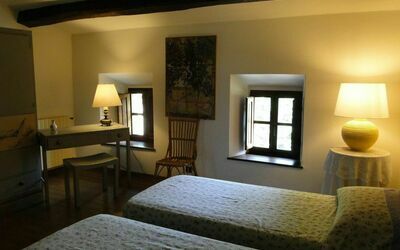 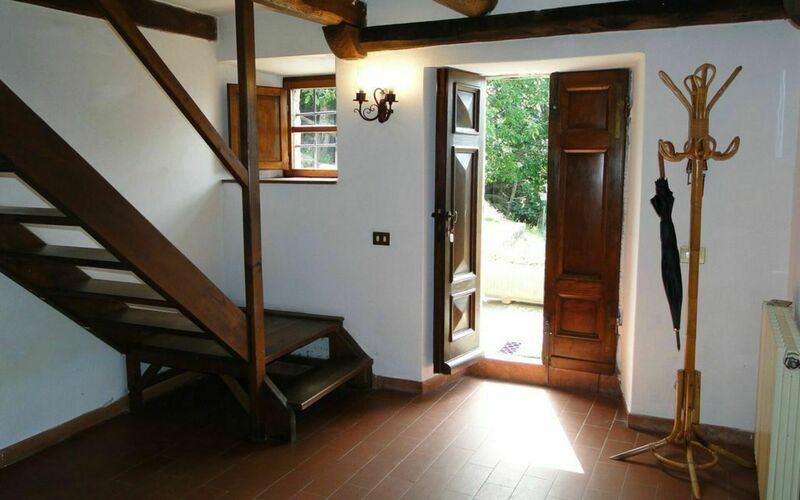 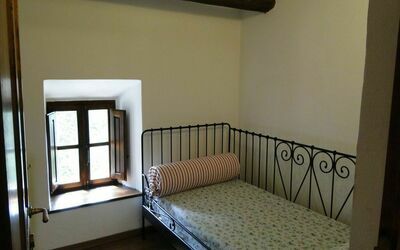 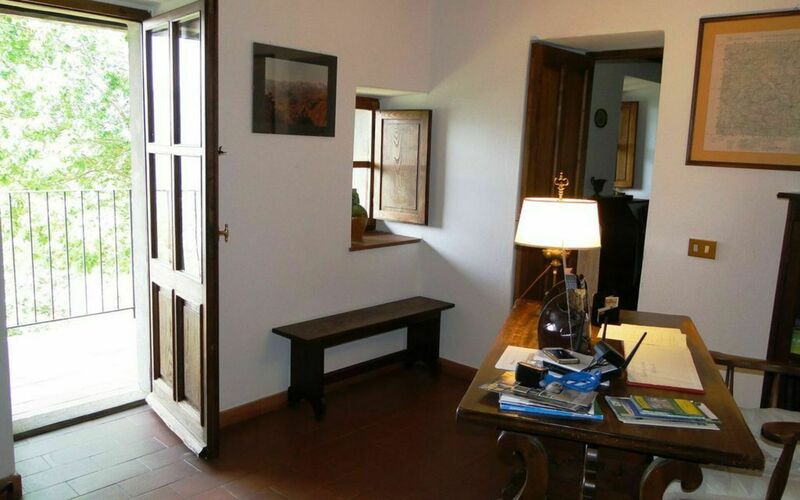 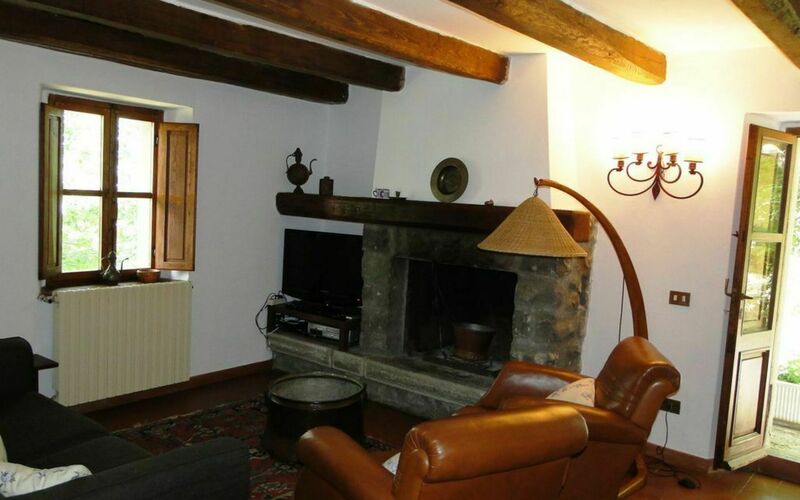 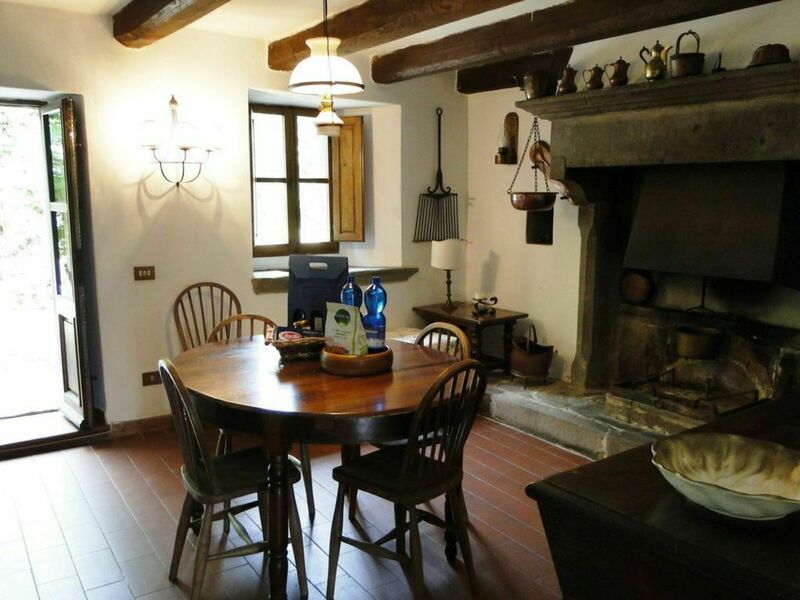 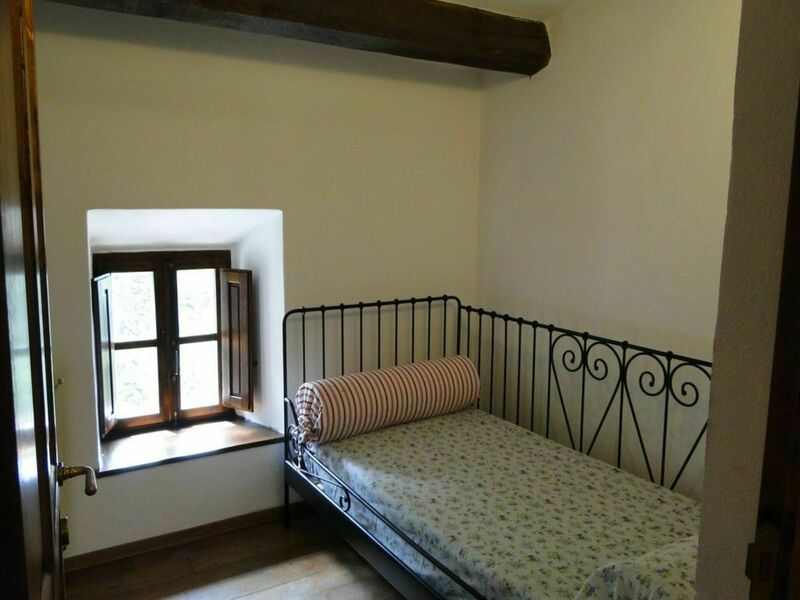 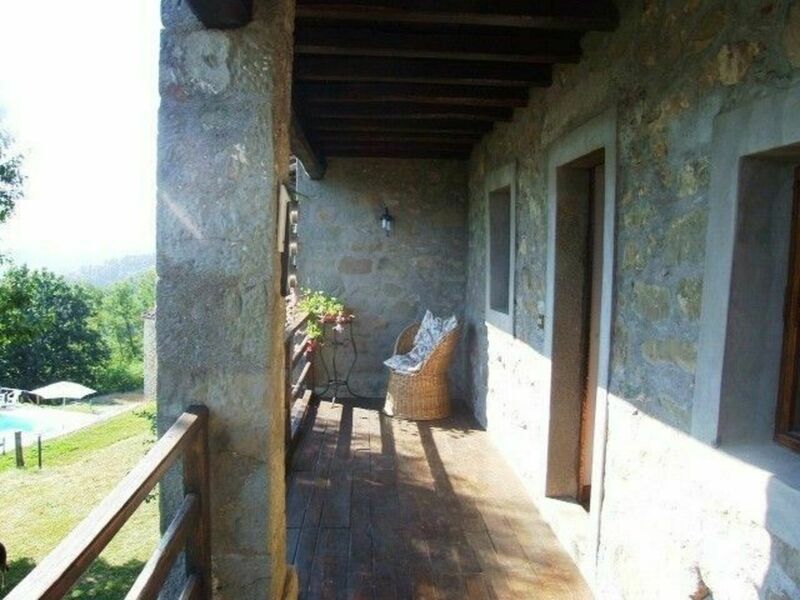 Set in extensive grounds, with meadows, olive groves & fruit trees, this is a real rural retreat, yet situated only a 15 minute drive from the market town of Castelnuovo di Garfagnana and closer, the village of Pieve Fosciana with its excellent restaurant & wonderful delicatessen selling home made take away Italian food. 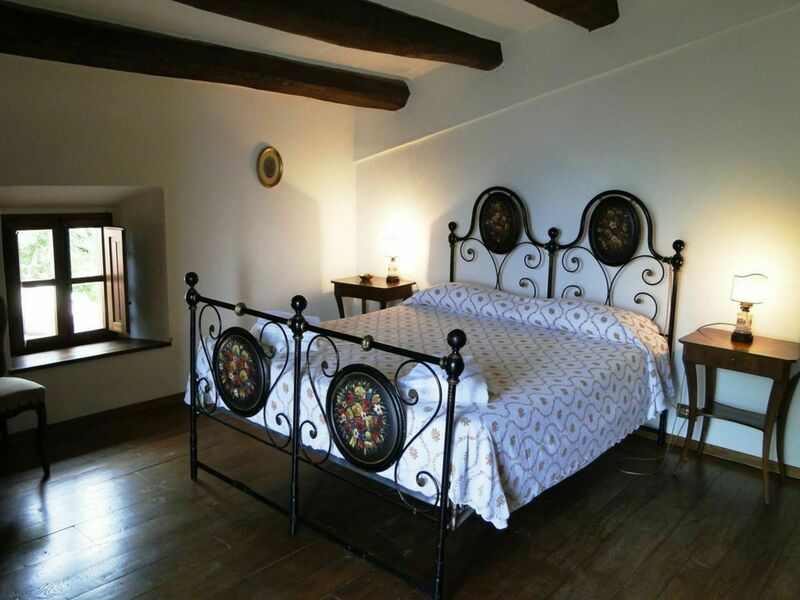 The Villa has been gradually renovated with loving care, with care to retain original features, such as solid chestnut flooring, traditional staircase, chestnut beamed ceilings & fireplaces, and period furnishings. 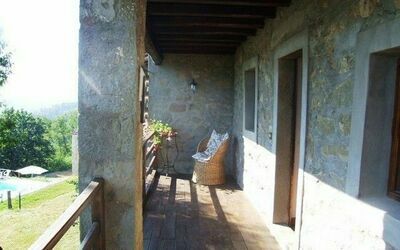 The villa is very spacious, with 4 bedrooms, bathroom; shower room; kitchen; dining room; living room; study; 2 eating out areas, & 2 terraces. The private pool is 5m x 11m + hydro massage area with steps for lazing, & a shallow platform area. Enter house into large entrance/living area through to double aspect living room complete with fireplace, and comfy seating for 5 or so. SAT TV/DVD/Video. 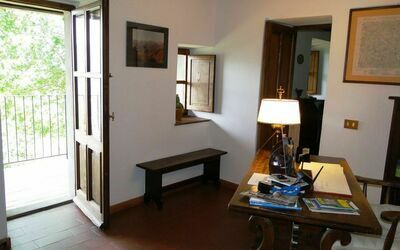 Double doors leading to terrace, Study, with doors leading to terrace. Dining room with enormous fireplace, original sink, and period furniture, leading through to shaded eating area overlooking olive trees. 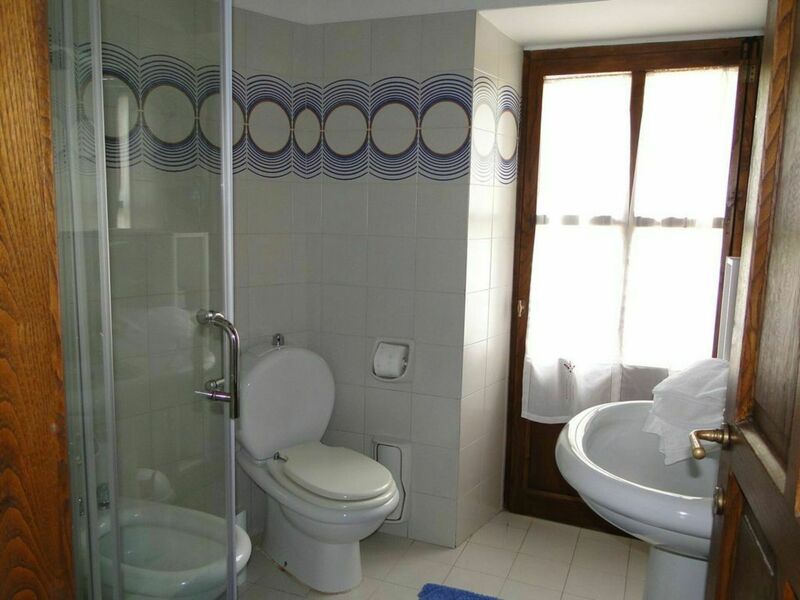 Round from the dining room is a downstairs WC. 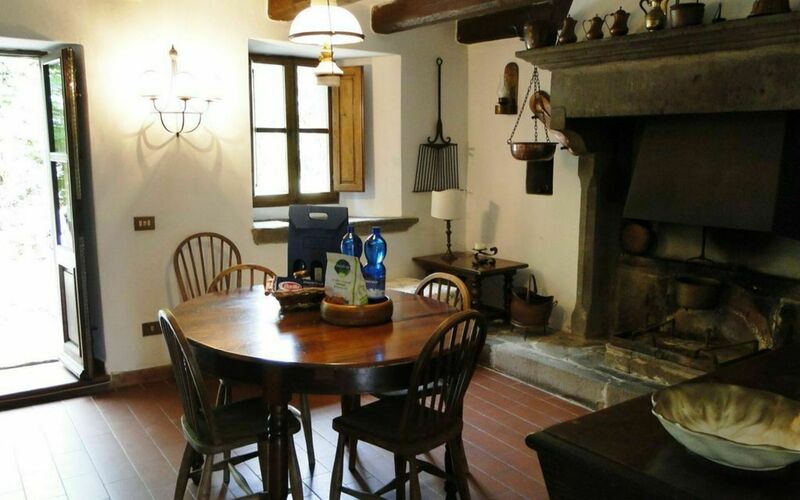 The kitchen is well equipped with large oven, 5 ring hob, dishwasher, fridge/freezer, and double doors leading to further eating area. 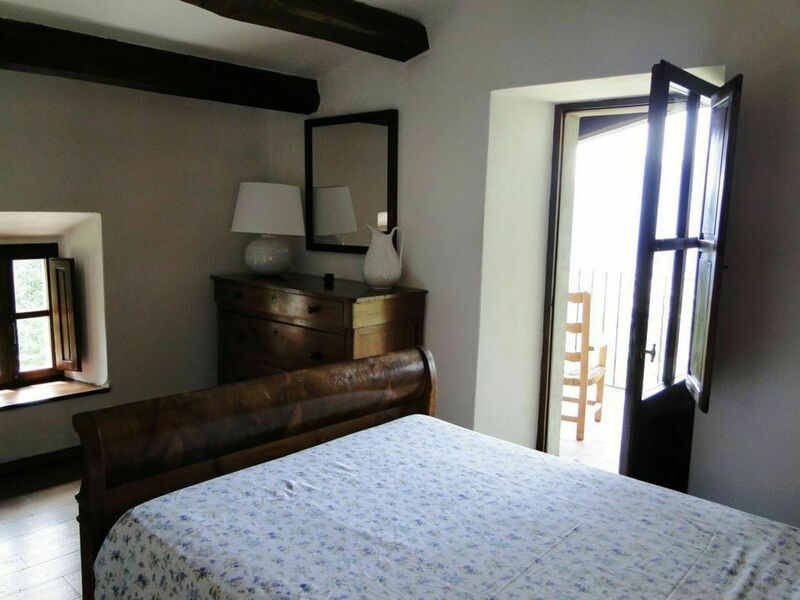 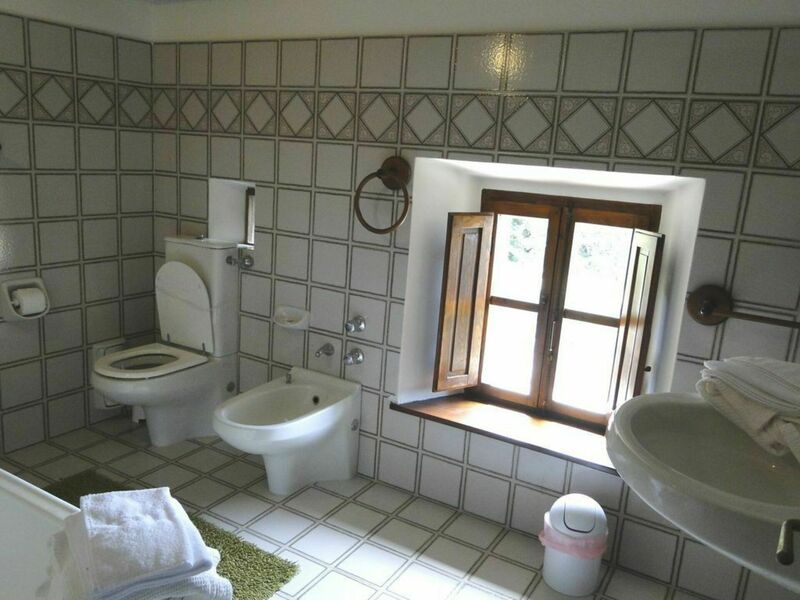 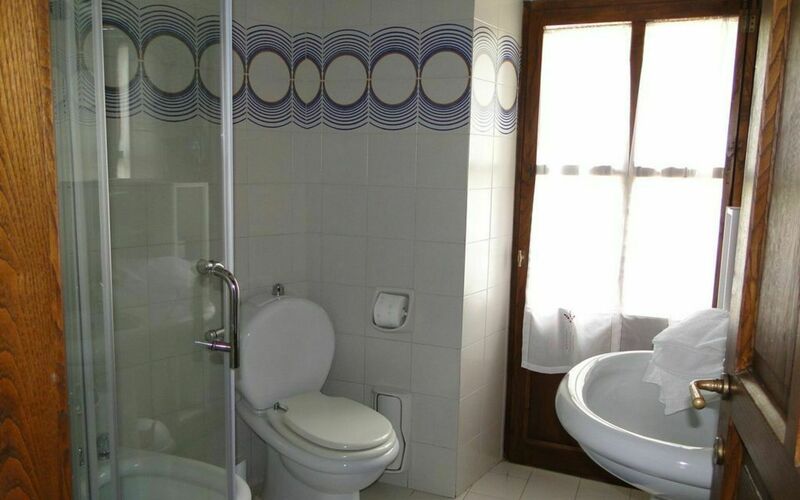 Upstairs, 1 double bedroom with doors leading to the terrace and amazing views, one twin room which can also be a double, two simple single bedrooms, bathroom with bath tub, hand held shower over, WC, sink and bidet Shower room. 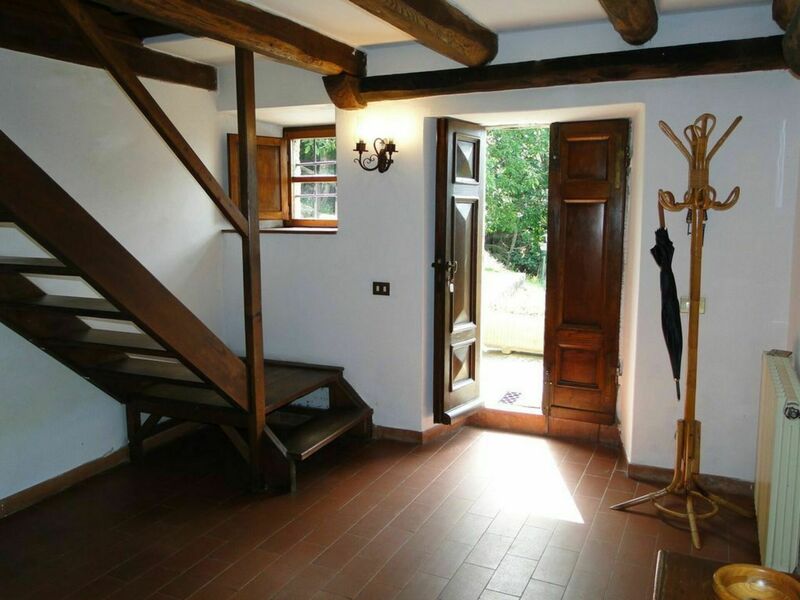 Arch vaulted beamed ceilings throughout the utility area is housed in the basement. Due to unprotected slopes, this property is not suitable for very small children.